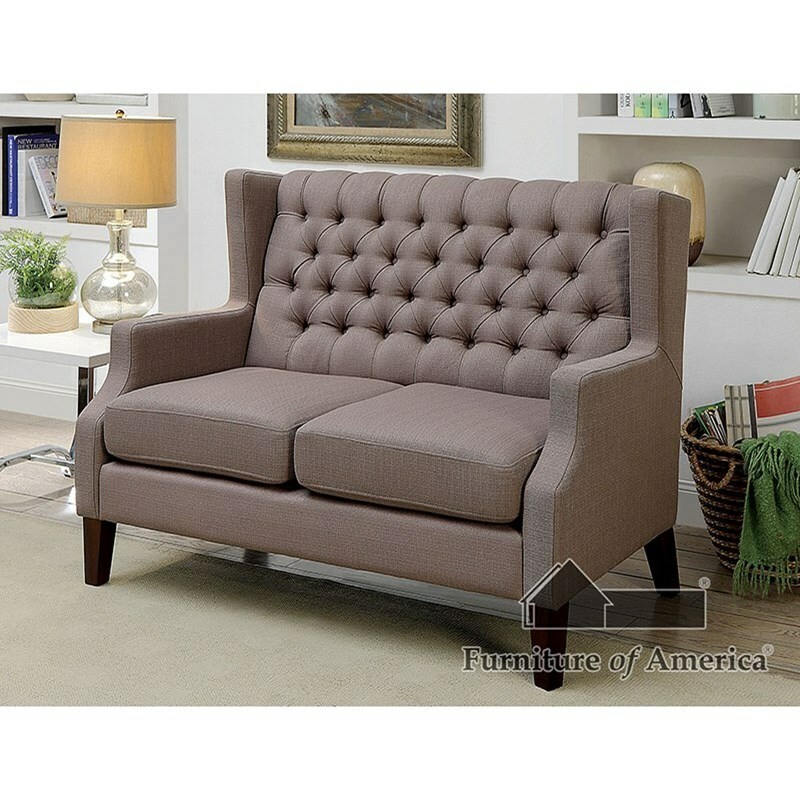 Deep button tufting and a wingback structure together create a classic sofa set with traditional roots. The curved track arms arch down to beautiful tapered legs with warm wood tone hues. The plush cushions are upholstered in a neutral brown fabric and filled with foam adding for a comfortably chic place to sit back and relax. The Robin Transitional Love Seat and Chair Set by Furniture of America at Del Sol Furniture in the Phoenix, Glendale, Tempe, Scottsdale, Avondale, Peoria, Goodyear, Litchfield, Arizona area. Product availability may vary. Contact us for the most current availability on this product. Browse other items in the Robin collection from Del Sol Furniture in the Phoenix, Glendale, Tempe, Scottsdale, Avondale, Peoria, Goodyear, Litchfield, Arizona area.